Ana Khouri uses her background in sculpture to create pieces that mirror the contours of your body. 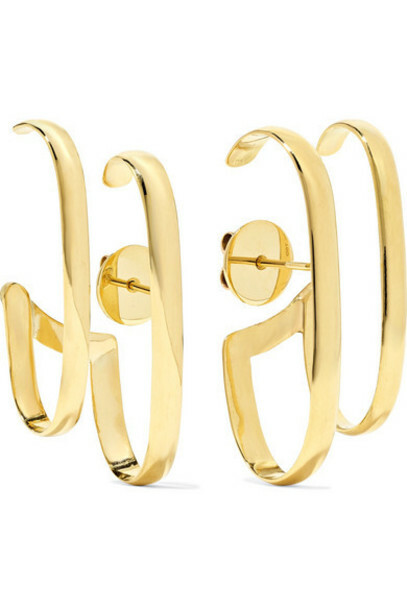 Hand-cast from responsibly sourced 18-karat gold, these 'Double Lauren' earrings have two curved bars that closely hug your lobe. If you have multiple piercings, try wearing both styles on one side.